Looking for a USED MA-800H? 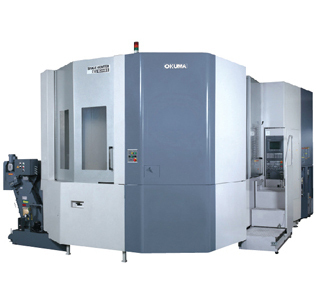 The MA-800H achieves stable machining accuracies that are unsurpassed as a general purpose horizontal machining center with superb thermal deformation control system, based on Okuma's original Thermo-Friendly Concept. This high-performance machine gives improved productivity with a large machining area, high-speed rapid feedrate, and reduced running costs thanks to longer spindle service life, easier maintenance, and outstanding lubrication control. Looking to Purchase a New OKUMA MA-800H?